Lambs, cows, pigs and goats were flying off the auction block at the National Western Stock Show's Junior Livestock Auction Friday night! 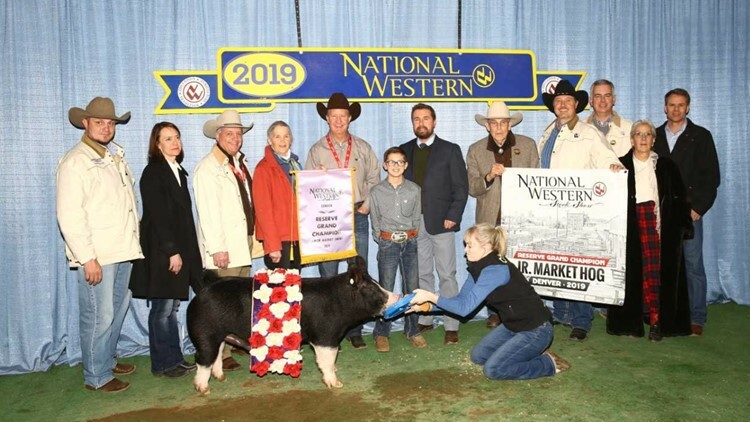 DENVER — Only 96 of the best animals compete in the annual Auction of Junior Livestock Champions at the National Western Stock Show and Rodeo. The best of the best (the Grand Champion and Reserve Grand Champion Animals) were auctioned off Friday night. 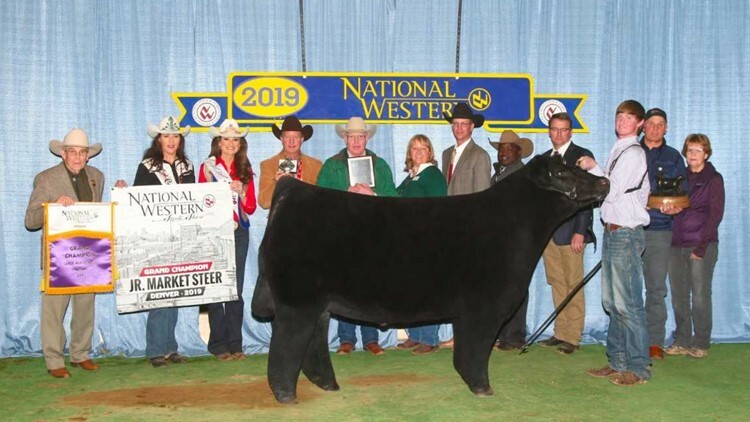 It was another record-breaking year for the event with the Grand Champion Steer going for a whopping $150,000. That breaks last year's record when a 13-year-old sold a steer for $140,000. A majority of that winning bid goes to the junior exhibitor, and 10 percent supports the National Western Scholarship Trust. WATCH the full Junior Livestock Auction below. Bio: This is Kutter's third time competing in the Junior Livestock Auction. He currently goes to school at Idalou High School, and hopes to attend Texas Tech in the future to study petroleum engineering. Bio: Kassidy currently attends Panorama High School. When she graduates, Kassidy would like to attend Oklahoma State University to study animal genetics. She hopes to go on to become an embryologist. Bio: Megan attends Wisner Pilger High School and hopes to attend the University of Nebraska in Lincoln to study agribusiness (her end goal is to be a banker). This is her fourth time competing in the junior livestock auction, and her favorite thing to do in Denver is eat at Cinzetti's. Bio: Kara goes to Laramie High School and hopes to attend the University of Wyoming, where she wants to major in agribusiness.This is her first junior livestock auction, and her favorite thing to do in Denver is shop. Bio: Sterling goes to Canyon Junior High, and hopes to attend Texas A&M, where he wants to study engineering and beef production. 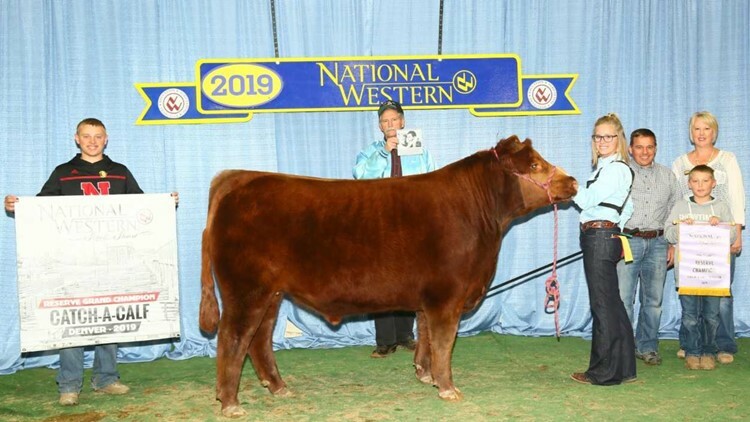 He said he got into showing from a sister's friend, and his favorite memory so far is winning the Reserve Grand Champion prize at the National Western Stock Show! Bio: Mikala has competed in the National Western auction three times, and hopes to study veterinary medicine at Texas A&M. 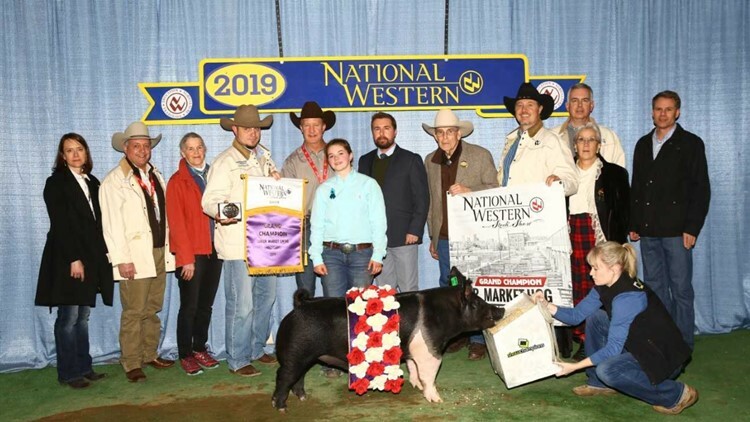 Carlye Winfrey, 17, is the Reserve Grand Champion at the National Western Junior Livestock Auction. 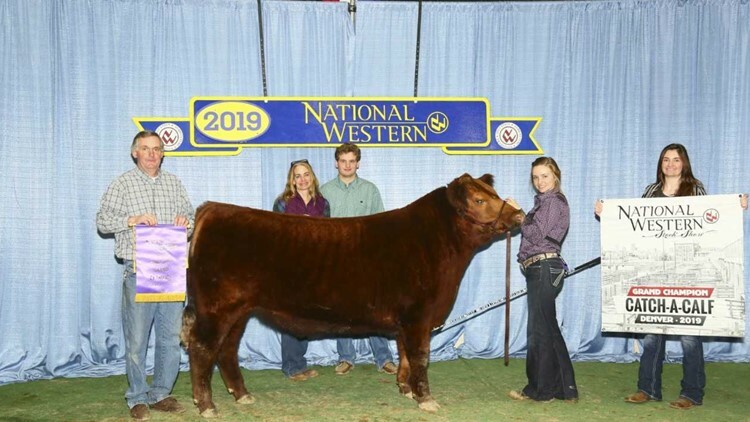 Bio: Turner has shown animals at the National Western auction for two years now, and her favorite memory is winning the Reserve Grand Champion prize! She wants to attend Texas Tech and major in agricultural communications. Her career goal is to be a lobbyist. 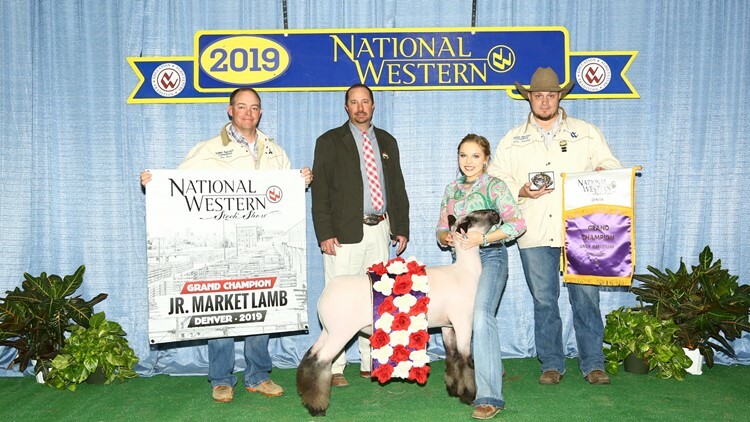 Lydia Straka is the Grand Champion of the lamb show at the National Western Junior Livestock Auction. 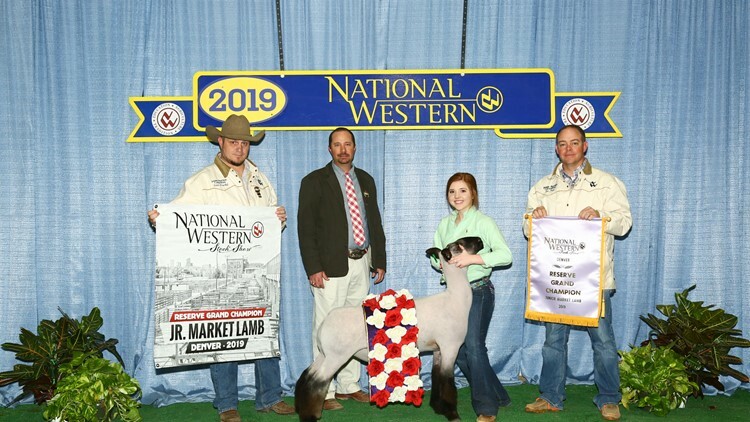 Bio: This is the eighth time Lydia has competed in the junior livestock auction, and she said her favorite memory so far has been having the winning lamb! She wants to attend Oklahoma State University when she graduates high school. 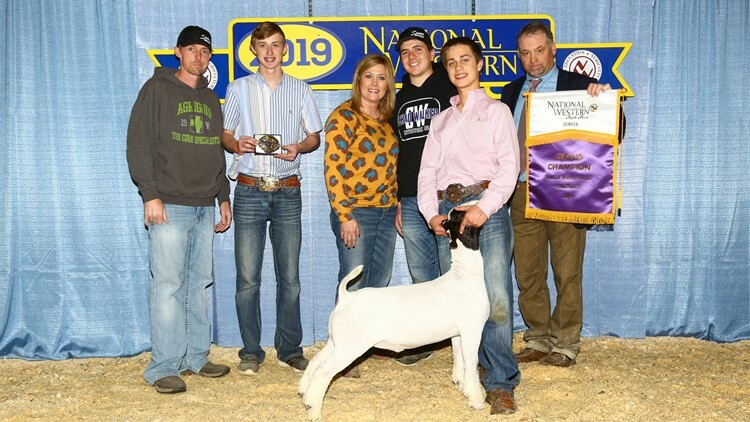 Turner Matkin is the Reserve Grand Champion for the National Western Junior Livestock Auction. Bio: Turner's favorite experience when he's showing animals is shaking a judge's hand after a win. He currently attends Boerne Middle School North and wants to go to Texas A&M, where he hopes to study animal science. His career goal is to manage a cow/calf operation. His favorite thing to do in Denver is eat at Ocean Prime. 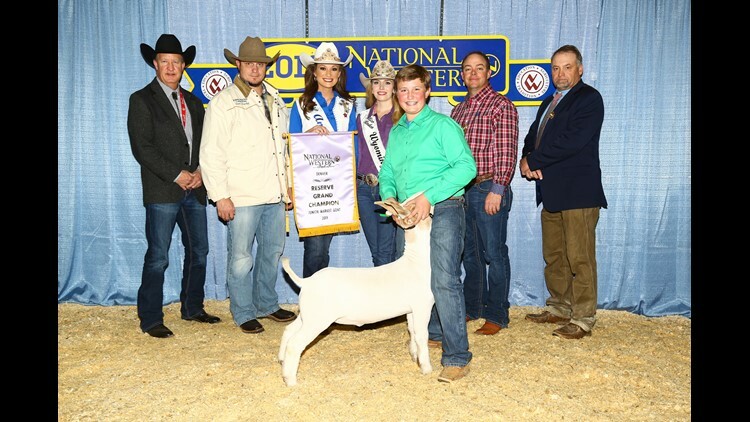 Hayden Schroeder showed the Grand Champion Goat at the National Western Stock Show. 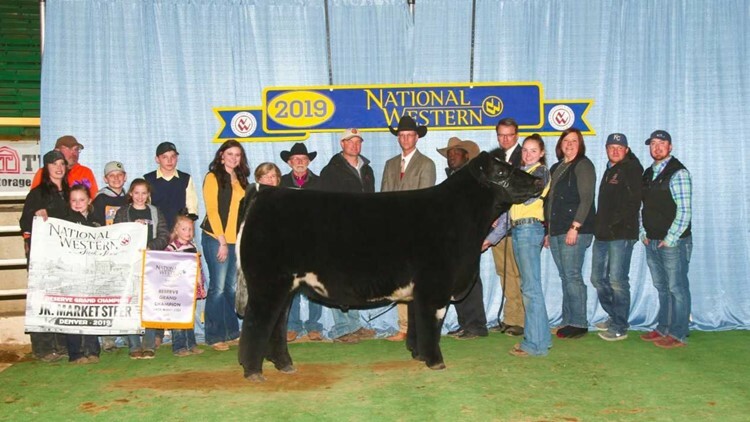 Bio: This is Hayden's first time in the National Western junior livestock auction. He attends Early Texas Middle School and hopes to study agribusiness at Oklahoma State University. He wants to sell pharmaceuticals. When Hayden comes to Denver, he says he loves to eat barbecue, and outside of livestock showing, his hobbies are baseball and livestock judging.